Dr. Steve has helped me relieve persistant and reoccurring pain in my shoulder and neck through a series of adjustments, massage and ultrasound treatments. I’ve found his treatments more effective than medications. After a few weeks of treatments, I was able to resume my usual physical exercise routine. Dr. Steve takes the time to identify specific problems you are having and finds specific solutions. Dr. Steve does not take a “one size fits all” aooroach to his patients. He takes time to know them and their problems in order to deliver the best care. The tightness in my left shoulder and neck as gone. My flexibility and overall condition are back to normal. I feel great! 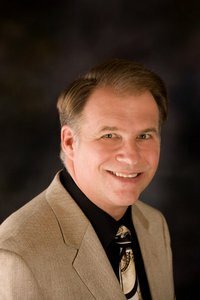 Dr. Steve kows how to help you and take your pain away. He explains very well what he is doing and why. I went to see doctor Steve with one goal on my mind, to help improve the flexibility in my arm and neck and he helped me accomplish that goal in a short period of time. I had upper back and shoulder pain with headches. Dr. Steve listens and assesses the problem(s) in order to customize treatment. He teaches you exercises and stretches to continue improvement between visits. Dr. Steve will help you become stronger and have less pain because he takes the time to assess the best course of treatment. I had been having neck and shoulder pain to the point it was affecting my daily activities. Dr. Steve was able to identify the source of my pain and find a course of action within the first visit. Dr. Steve listens and asks all the right questions. He does not waste any time. I was amazed at how soon I was feeling better and getting back to my normal activites. The office staff are very helpful and friendly. If you are limited on time but ready to do the right thing and start feeling better, Dr. Steve is a great choice. I had an upper back issue that plagued me for months. Dr. Steve re-aligned my rib cage that reduced my pain significantly. Dr. Steve takes his time with every patient to properly identify your problem. Give Dr. Steve one visit and you’ll buy-in with how he determines treatment.